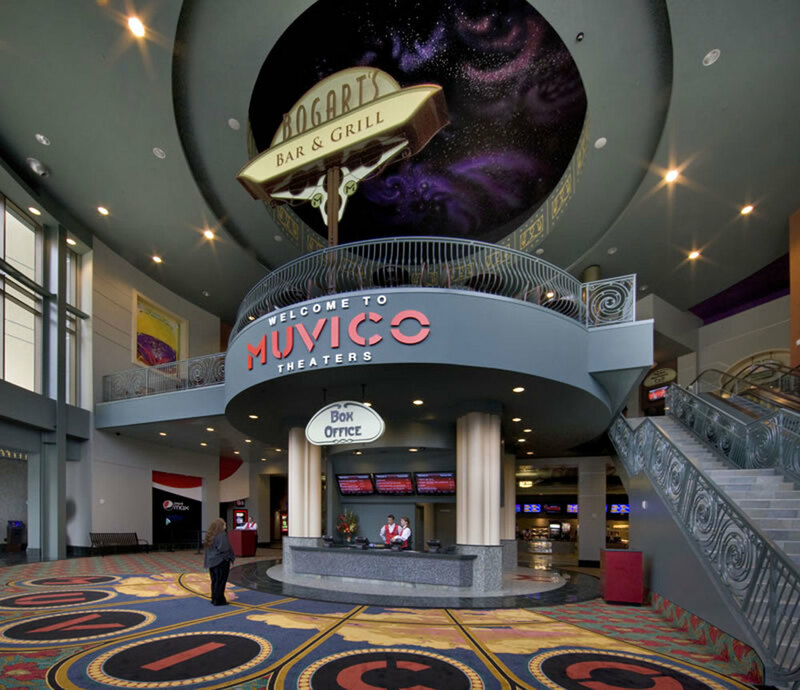 Muvico Theaters at the Oaks — Behr Browers Architects Inc.
Behr Browers Architects designed this 4,000 seat, state of the art, all digital multiplex stadium theater at The Oaks, a regional mall in Thousand Oaks, California. 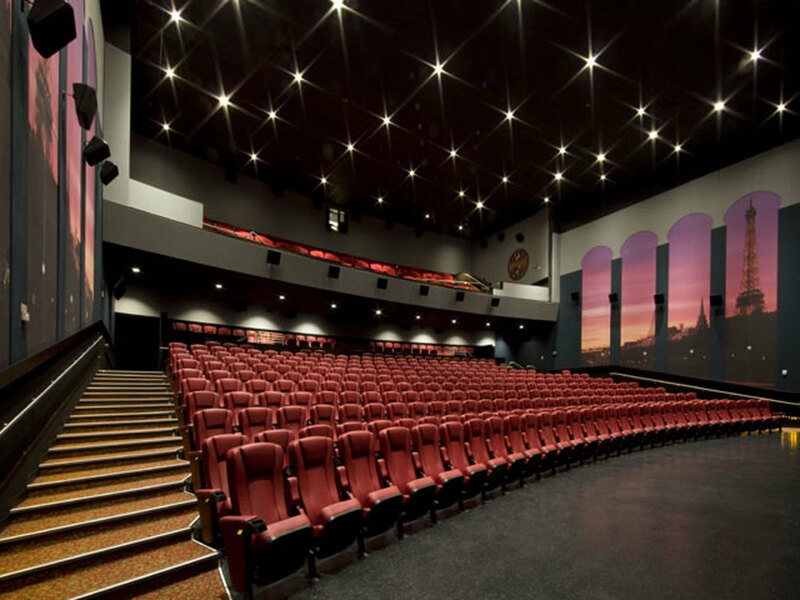 It includes 14 state of the art auditorium/cinemas and a full service restaurant and bar with direct access to VIP balconies in the larger auditoriums. 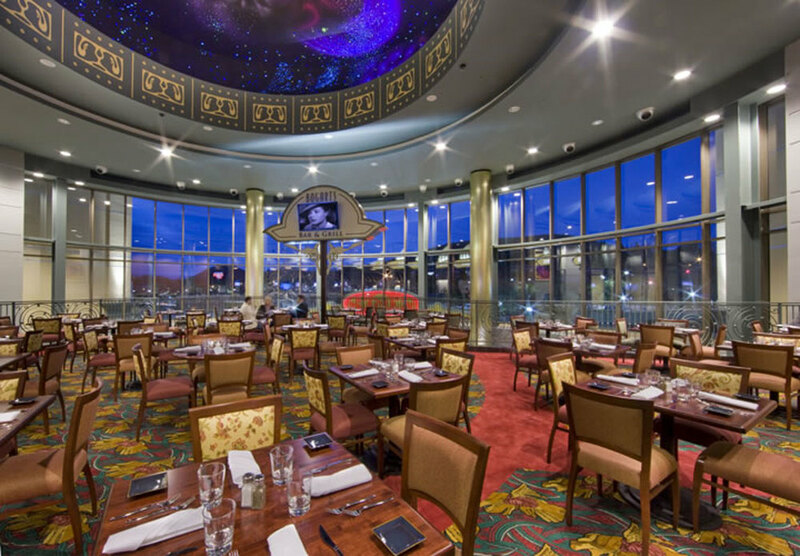 In addition to the site planning, cinema engineering and architecture, Behr Browers Architects was also responsible for the theming of the signage and graphics and all of the interior design.